Individual retirement accounts (IRAs) are becoming a staple of retirement planning in the United States. IRAs are special tax-advantaged vehicles that provide flexibility, control, and investment opportunity. However, there are a number of different types of IRAs to choose from. One type of IRA distinction is whether it is an individual IRA or one that is provided through an employer, such as a SEP IRA or a SIMPLE IRA. There are also tax differences between Roth IRAs and Traditional IRAs. Roth IRAs are funded with after-tax amounts and the investment gains can be withdrawn income tax-free if certain requirements are met. On the other hand, traditional IRAs are generally funded with tax-deductible contributions and investments grow tax-deferred, but when assets are withdrawn from the traditional IRA the owner pays ordinary income taxes at that time. Typically, a Roth IRA is a better vehicle to fund in years when an individual has a low tax rate. So if you are unemployed for a period of the year, are early in your working career, or are in a temporarily reduced tax rate environment, it can make sense to make an after-tax Roth IRA contribution. The idea is that you pay taxes now when they are lower rather than in the future when they will be higher. With a traditional IRA, the opposite holds true. With a traditional IRA, consider putting money into the IRA when your tax rate is high today so that you may deduct the contribution, defer the growth, and take a distribution when your tax rate is lower. 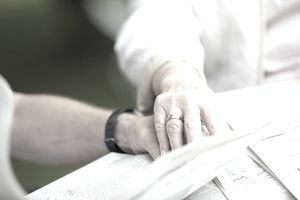 Additionally, because IRAs are considered special vehicles designed for retirement savings, there will be heightened scrutiny around the investments and management of assets inside IRAs. As such, there are a number of investment assets and self-dealing transactions that are prohibited. Often when money is being managed in a traditional IRA, an advisor, custodian, or brokerage house is likely charging some sort of fee associated with the account. Furthermore, a traditional IRA is likely more limited in its investment options to traditional stocks, bonds, and mutual funds. This is in part due to the high level of scrutiny around IRAs. With a self-directed IRA, your investment options significantly expand. For most individuals, the best reason to use a self-directed IRA is to include real estate as an investment option inside of your IRA. Rental property and commercial real estate, in addition to real estate investment trusts (REITs), can be added into a self-directed IRA to help diversify an individual’s overall investment portfolio. However, real estate investments can come with some degree of risk and liquidity concerns. Also, the individual has to be sure not to engage in a self-dealing transaction. You cannot use your rental property in an IRA for your own use. For instance, if you have a rental beach property, you cannot stay there whenever you want and keep it safely inside the IRA. Furthermore, you cannot sell or buy property directly from your IRA. When looking to place real estate in a self-directed IRA, make sure that you work with a professional who understands the intricacies of such arrangements. Self-directed IRAs can also allow IRA owners to hold certain precious metals inside of their accounts. For example, a self-directed IRA can allow an individual to purchase gold, silver, or platinum inside the IRA. However, it is important to recognize that while certain precious metals are allowed, antiques, paintings, and other collectibles are not allowed. Additionally, you cannot hold life insurance inside of any IRA, nor can you borrow money from your own IRA, whether self-directed or traditional. A self-directed IRA allows an individual to direct his or her investment options, rather than a brokerage firm or some other separate entity. This allows for greater choice and flexibility. However, tax advantages for a self-directed IRA are no different from those offered by a traditional IRA. Additionally, a self-directed IRA, while offering more flexibility in investment options and fees, is not excluded from the prohibited transaction and investment rules that apply to all types of IRAs. Further, by law, all IRAs need to be held by a Custodian. In the end, if you want to add gold or real estate in the form of a rental property to your IRA, you will likely need to use a self-directed IRA and work with a qualified professional to ensure that the transaction is properly established. Should You Buy Real Estate in an IRA? Can Roth 401k Provide Tax-Free Income in Retirement? What Are the Contribution Limits for 403(b) Plans? What Where the IRA Contribution Limits for 2010?